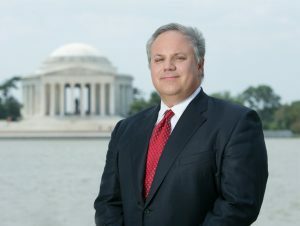 Rifle homeboy David Bernhardt is one of several candidates President Trump is considering to head the Interior Department, and would be the third Coloradan this century to hold the post. The Denver Post reports that in addition to Bernhardt, who currently serves as deputy secretary, other names being mentioned include Idaho Gov. Butch Otter, former Wyoming congresswoman Cynthia Lummis and U.S. Sen. Dean Heller of Nevada. If nominated and confirmed, Bernhardt would follow in the footsteps of Gale Norton, who served as George W. Bush’s Interior secretary and Ken Salazar, who served in the post under Barack Obama. Bernhardt has an advantage, as he’s already been through the grueling Senate confirmation process and fully was vetted. Even U.S. Sen. Michael Bennet voted to confirm Bernhardt, because despite what radical environmentalist would have some believe, Bernhardt is respected across party lines for his hard work and dedication to western issues. Trump has not indicated when he will announce his selection, but then again, his hands were a little full this week with the budget showdown.